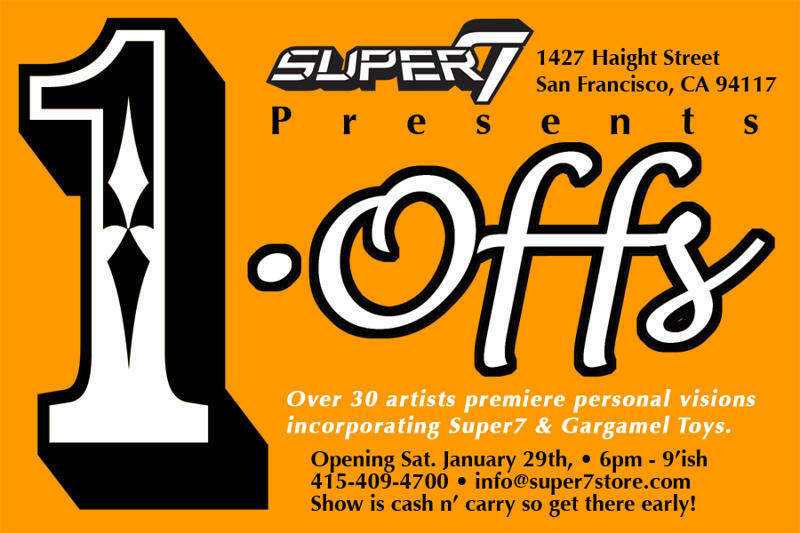 From the studios, basements, garages and caves comes the One-Offs show at Super7! Thirty plus artists break down, build up, spray, splatter, polish and destroy vinyl toys to create something one of a kind. Opening January 29th, 6pm Pacific.